The University of New Mexico Alumni Association has announced the recipients of the prestigious 2018 Winter Awards: Joy Harjo, Phyllis Perrin Wilcox, Donald “Duffy” Swan and Karl E. Karlstrom. The 2018 Winter Award recipients will be honored at the UNM Alumni Association’s annual Winter Award Dinner on Thursday, Feb. 8, in the La Ventana Room at Embassy Suites. A reception begins at 5:45 p.m. that evening with dinner at 6:30 p.m.
Tickets are $35 per person and seating is limited. Reservations are required. Visit the Alumni website to RSVP and purchase tickets or call the Alumni Relations Office at 505.277.5808. The deadline to RSVP is Thursday, Feb. 1. 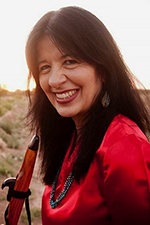 Harjo performs with her saxophone and flutes nationally and internationally, solo and with her bands, Joy Harjo & Poetic Justice and the Arrow Dynamics Band. She has five CDs of music and poetry. The Native American Music Awards named her Best Female Artist in 2009. She is a co-founder with tribal members Kenneth Johnson and Sandy Wilson of the Mvskoke Arts Association. She holds the John C. Hodges Chair of Excellence at the University of Tennessee in Knoxville. 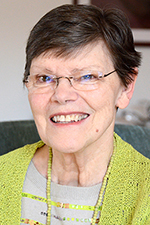 Phyllis Perrin Wilcox graduated from The University of New Mexico in 1993 with her Ph.D. and is Professor Emerita in the Department of Linguistics at UNM. She was instrumental in establishing the UNM baccalaureate degree program in signed language interpreting. Wilcox has written many books, grants and articles on American Sign Language, interpreting, and signed language metaphor, with 50 invited or refereed presentations. Wilcox has presented her research in Belgium, France, Germany, Italy, Poland, Saudi Arabia, Scotland, Spain, Switzerland, Tunisia, and the United States. 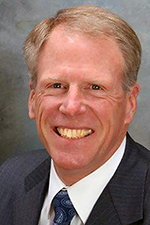 Wilcox served as president of the New Mexico Registry of Interpreters for the Deaf, chair of the New Mexico Mentoring Board, and an adjudicator for the RID Ethical Practices Committee. 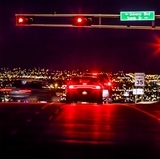 She served on the UNM Long Range Planning Committee for ten years, serving as vice chairwoman. She has been honored with the Dr. Phyllis Perrin Wilcox Endowed Scholarship in 2007, established by former students and colleagues. She has also been honored as the UNM Outstanding Teacher of the Year. Donald “Duffy” Swan graduated from Sandia High School in 1963 and The University of New Mexico in 1968 with a bachelor’s degree in political science. He also attended executive summer programs at both Harvard and Wharton universities. Swan devoted 35 years to the telecommunications industry, beginning with Mountain Bell in 1965. He served in a number of management and executive capacities in the former Bell System and with USWEST. He retired from USWEST International in 1997 but returned to the telecomm industry in 2000 when he became vice president for a rural, domestic quasi-startup VALOR Telecomm. In 2004, he became president and COO of French Mortuary, Inc., and the French family of companies. In January 2008, he was named president and CEO then eventually chairman of the French family of companies. 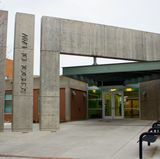 Between 1998 and 2004, Swan served two different periods as UNM’s Director of Development and President of the UNM Foundation. Karl E. Karlstrom has been a professor in the Department of Earth and Planetary Sciences at The University of New Mexico since 1994. He received his Ph.D. from the University of Wyoming in 1981, and held prior professor positions at North Carolina State and Northern Arizona universities. 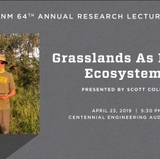 His research spans the geologic timescale and addresses the formation and stabilization of continents, the supercontinent cycle, and neotectonics of ongoing uplift of the Rocky Mountain region. 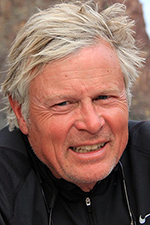 Karlstrom along with his wife Laura Crossey, developed the Trail of Time Geoscience Education Exhibition at Grand Canyon National Park that opened in 2010 and received the 2011 First Place award from National Association for Interpretation, this exhibit reaches about 6 million park visitors annually. He has also received the 2009 Distinguished Service Award from Geological Society of America, UNM 60th Distinguished Research Lecture in 2014, Career Achievement Award from the American Institute of Professional Geologists, with Laurie Crossey, in 2015, and New Mexico Geological Society Honorary Member in 2017.